Take responsibility for your happiness today! This is V. I am a regular reader of your blog for more than 3 years now. I also leave my comments sometimes. I was reading your most recent post 'It's all ok, really' and couldn't stop myself from hitting the Compose mail button on Gmail to write an email to you. 1) I have a loving boy friend and your post on the importance of saying "I love you" and being vocal about one's feelings changed my life, dramatically. 2) "A letter to my 25 years old self"- I just turned 25 then, and your post had everything I wanted to hear or know. 3) Another post- "Yes, you can, Act now"
I was never happy with that life, there was something always missing. I earned more and more with every quarter but it made no difference. The charm started fading away a lot more from last year. I moved to UK to see how I like foreign country and the life that everyone craves for. In a month, I realised that I definitely don't want this either. I have always enjoyed and wished to spend as much time as I can around philanthropic activities, but everyone looked at it as a good thing but not a practical career option! I was allowed to keep it as a hobby but was taught that middle class people are not allowed to dream big. They have limits. But guess what, I've broken all those shackles and crossed all those boundaries!! I'm going to be back in India next week and start working towards my dream! It was tough to convince everyone, especially my parents but with the support of my boyfriend and my sister I am taking my next big step. Your today's post- "It's all ok, really" again was up there when I really wanted it. I was getting all scornful looks and nasty comments for thinking that I can change the world from many at work today. It was very painful to go through it and continue to feel confident. Self-doubt is the biggest killer! Your post helped me overcome that fear! I won't say that I wish to be like you, but I must say that I gain the inspiration from you to define, or should I say- "redefine" myself according to my choices, likes and dislikes. It's not an easy thing to do, but it's highly rewarding and overwhelming! I don't know what future has in store for me but I'm truly excited and very eager to twist, turn and shape it as per my wish! 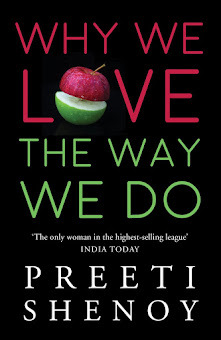 All the very best, Preeti! I follow your blog regularly, and I love your style of writing too. I have heard the same things you have said in this blog many times and do think that it is right to an extent. But on a practical side , do you think it is often possible to live your life as you like it without taking others feelings into consideration? My husband left his well paid job, because he wanted to chase his dream of starting something of his own. It has been two years since he is after that and till now hasn't earned a single pie.i tried to think about his dream in the same lines you wrote in this blog,but at times i lose my control and compel him to take up a job. But he is quite confident about what he is doing and totally ignore my woes in this matter.He says all the financial crisis that we face now are temporary and we will definitely have a brighter future. I am totally confused.. Tell me what would you have done, if you were in my position with a two year old kid and an average salaried job?? To the first mail I say a big thank you. I am truly happy that V is chasing her dreams. But most importantly what stands out in the mail is the fact that V has taken responsibility for her own happiness. She has the courage to throw away a corporate job which pays her so well. Not an easy thing to do at all. Another thing that clearly stands out is that money is not what makes everybody happy. Happiness truly does not depend on how much money you are making. Happiness comes out of fulfilling the deeper needs of the soul. Yes, we do need money for material comfort--but how much is enough really? One has to determine that first.So many studies of people who have won the lottery clearly show that after an year the mental state of the winner is same as what it was before winning. After a couple of years of getting used to their situation, lottery winners as well as paraplegics are surprisingly close to being equally happy. Dazed by life, I need to ask you something--Is your love for your husband conditional? Will you love him more if he takes up a job which makes him miserable but earns a whole lot of money for you and your child? At some level, you seem to believe that giving you (and your child) a comfortable life is his duty and by not earning a single pie, he is somehow neglecting you. Your husband is indeed aware of this situation and he is confident about a brighter financial future. I am sure he must have done adequate research before jumping into this venture. Most ventures (startups) do take on an average, about 18 months to just break even. I need to ask you one more thing--Is it not possible for you to change your job from an 'average salaried job' to a 'well paying job'? What is holding you back? Educational qualifications? Skills? Get them! Lack of opportunities? Create them!! Why depend on your husband to give you a better life? Why not accept action and responsibility on YOUR part. What are YOU doing to better the situation other than complaining that he is chasing his dreams and not earning enough? So, either you have to be patient and supportive to him, and BELIEVE in him that he WILL make it BIG tomorrow and all success will be yours (I wish you both the very best from my heart) or you have to act now and make a change to your life. Satish and I were talking the other day about how our situation was when we first got married. At that time, we could not afford to buy a car and we used to travel everywhere on a motorbike in the freezing north Indian winters. (I loved that but that is a different story ;-) ). We used to look at other couples who would arrive in their fancy cars to office parties (when we shivered and got wet on the bike) and used to wonder if we would ever be able to buy a car. Today, by his sheer hard work, by God's grace as well as by blessings of the Universe (I do believe in it) we can afford many luxuries. We have indeed come a long way. But one thing is that we were as happy then as we are now! I am as close to him today, as I was back then. He worked hard (really hard--there were days when I used to long to be with him, but he had to be at work) to get where he is today. I stood by him then as I will stand by him tommorow, no matter what. So I do believe that persistence pays. Work hard, chase your dreams, laugh with your friends, keep up your promises, exercise, eat a good diet, be thankful for the things that one has (even being healthy is a BIG blessing) and go LIVE your life. It is so short to be spent in regrets! One minute wasted is one minute gone forever! ps: If any of you have any advice for 'Dazed by life' do feel free to express it here. "Is your love for your husband conditional?" . That says it all !! Lovely ! This post of yours answered many of my questions too. I have to echo V's thoughts here. I am a regular visitor to your blog and on occasional commentor as well :-) Your posts have always come at a time when I needed it most. I have also gone through the same phases in life when people closest tome have ridiculed me when I followed my heart. And for the past few months, I have been going through the same dilemma again. In my heart I know I just need to take that jump, but my practical side says wait. Anyway, I just wanted to thank you for the lovely posts. You are truly an inspiration and honestly sometimes I feel how can you be so perfect. But then, I do realize nothing is easy, you have worked really hard for what you are today and one thing I am trying to emulate is how to keep negative people and thoughts away from my life. As for the question posed by 'dazed by life', she really has to ask herself what is important to her in life. Then the answers will reveal itself, I am sure. Congrats V, for taking such a difficult decision of life without wasting much time!! Congrats and all the best to 'V' for her courage to follow her dreams. Not many in this world is dare enough to follow their dreams.Even I left my well paid job following my dream and was confident that I will get a new one as I wished. My confidence never cheated me. So go ahead with your confidence and belief and your dreams will follow you. To 'Dazed by life'- There is nothing wrong in your thoughts, because people usually thinks the same as you did. We can never understand the power of another person's dreams, to what extent he want that dream to come true. Our dreams are ours only. I felt no one else, nor family,friends,spouse or children, can understand the frequency of our dreams. But if we believe we can achieve, then what ever hardships comes, we can face them and finally universe provide us with our dream. I am not telling these words simply. It is my own experience that dreams do come true. Only that we should believe it blindly. You dont have to believe in your husband's dream... you have to believe in your own dream that your family will live in prosperity, with all happiness overcoming all the temporary difficulties on the path... Wishes for you and family for a great wonderful life waiting for you..!! Your blog is really inspirational for me. Somehow I've started writing and you are one the reason. As u said, we have to take responsibility for our own act. your posts really do come at a time when I'm in doubt over things... ALWAYS!!! 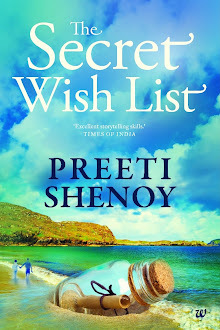 Hey Preeti, what more i could say but will say that, many writer feel using most complex word would give high value to their writing skill all I know is that I have to run and fetch a dictionary each time. But with your post its never the case you tend to pass on most impactful message in most simplistic way, that what i admire about you and your post. V says it all !! In a way she represents almost all of us. Hi Preeti.. to the mail from V all I can say is that there are many many people who feel the same after reading your posts which includes me as well. A BIG thank you for making life of people a little better if not change it drastically by bringing some real value to life! That's what makes the difference. People would take their own step by themselves, just that they need that confidence, that little push and loads of self belief. For dazed by life, I completely agree with what you have suggested her. Its not how big your house or car is but its all about how big you live your life. How you turn things into your way by just being happy because happiness is all what matters. Preeti, I would again say keep up the good work and keep writing. You touch lives! I echo V's thoughts; Preeti, I would like to draw inspiration from you. I have been a silent reader of your blogs. It's amazing to know how many lives you have touched (including mine). Already waiting for your next one!! Srividya, Abhi,Amit, Anish,Eve,whoamI,Remya, MS,Bhavika,Wanderlust, Life begins, VPP: Thanks a ton! :) God Bless. It's not just for V that this space had given hope, comfort or a push to keep going , so many of us would have experienced the same. From this blog /twitter /buzz i have taken loads of motivation or have learnt to ignore things to move ahead or to try again without fear of failure. Your posts always helps preeti. Hmm.. I think I agree with the advice you have given Preeti., and most importantly they really need to talk and try to make things better. Thanks a ton Preethi for your answer... i wrote this to you because i was really confused, and there wasn't anyone to discuss this about..not even to his or my parents.. Your blog is truly an inspiration..
BTW , thanks to all others for the good wishes.. Yes, you can. ACT now. Ten day challenge. Post 10. One picture of me.